Alta Clement Willis, 96, of Mesa, AZ died peacefully March 23, 2018. 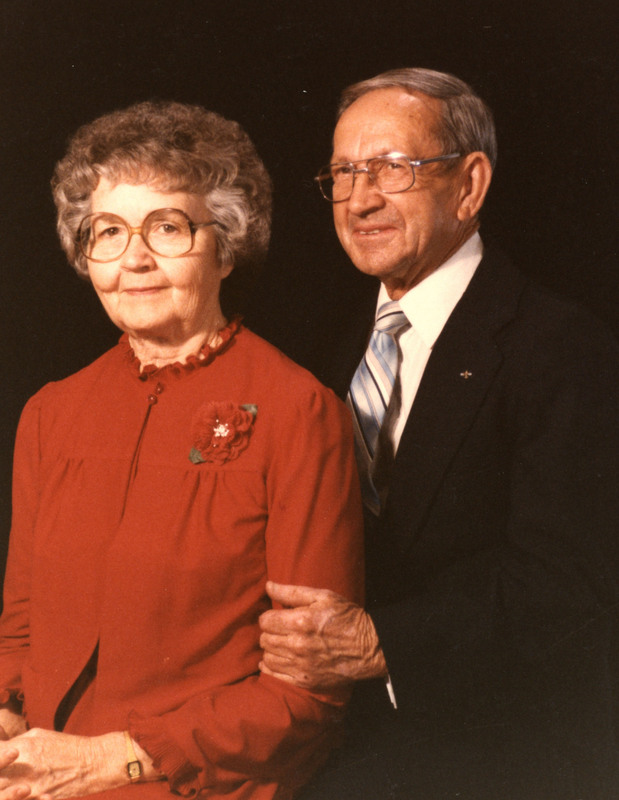 Alta, daughter of Lester Elden and Emily Maud Clement, wife of Glade Roundy Willis, passed away at the Banner Baywood hospital in Mesa, AZ after a sudden onset of pneumonia. She is survived by one son Carl (Paulette Storrs) Willis, and four daughters Diane (Frank) DeCesare, Joyce (KC-deceased) Bastian, Mary (Robert) Watkins, Janet Willis, and daughter-in-law Karen Thompson Willis. She is also survived by 29 grandchildren, 76 great-grandchildren, one brother, Lee Clement, and two sisters, Pearl Nichols and Dora Holbrook. She was preceded in death by her husband, Glade Roundy Willis and son Glade Randy Willis. Alta was born and raised in Mesa Arizona by her beloved parents. She truly enjoyed interacting with her siblings Mary, Margaret, Zelda, Elvin, Lee, Pearl, Dora, Donald, Heber, and Nione. She graduated from Mesa High School in 1939. 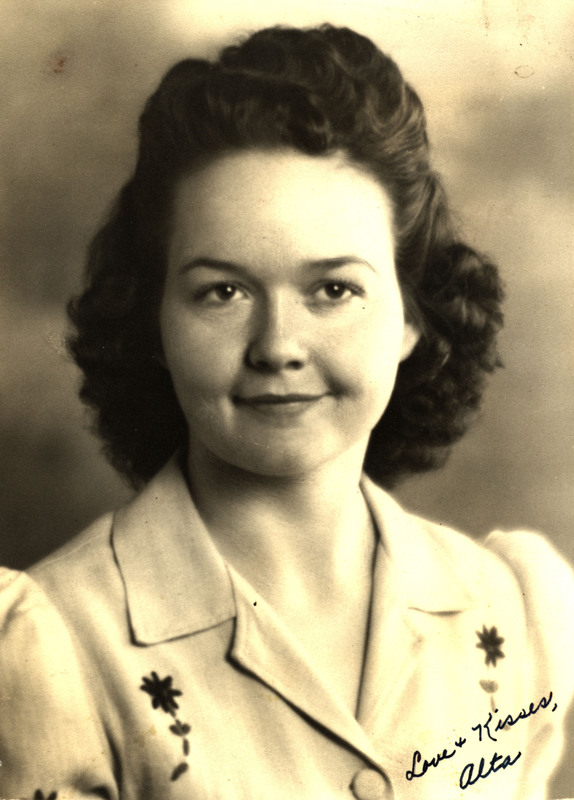 She married Glade in the Mesa, Arizona Temple on May 11, 1942. They served together in the Mesa Arizona temple as ordinance worker for many years. They also served on a mission in the Dallas, Texas Temple mission from July 1985 to July 1986. 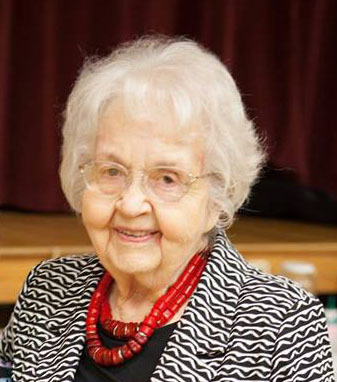 Throughout her life she also served faithfully in the Primary, Young Women, and Relief Society organizations of the Church of Jesus Christ of Latter-day Saints. She had a strong testimony of Jesus Christ, the power of prayer, and keeping the commandments. Alta was beloved not only by her posterity, but every life she touched. She lived simply, devoting her life to her family; but that simplicity added up to a giant legacy. She will be greatly missed by all who knew her. A viewing will be held at Bunker’s Garden Chapel, 33 North Centennial Way, from 6-8 p.m. on Wednesday, March 28th. Funeral services will be held at 11 a.m. at the LDS Greenfield Park Ward at 532 South Greenfield Rd, Mesa on Thursday, March 29th, with a viewing prior to the services from 10-10:45 a.m.
Alta will be missed by all!! I never remember seeing her without a smile on her face. She was one of my many Great Aunts. She was such a lovely, gentle woman. Her love and kindness reached into the hearts of those of us outside her family and drew us in right into the middle of it. It’s easy to see her very best qualities in the lives of her beautiful daughters. Mary, thank you for sharing her with me. You have been an incredible gift in my life since we first became friends. My love to the entire Willis family. May her legacy live on in your beautiful lives. I always loved to see this beautiful aunt with her gentle smile and the look of love on her face. She will be so missed but I know many loved ones are welcoming her home. We loved Sister Willis. She was one of the kindest, gentlest and most loving woman we’ve have known. She was always quick to smile and had a keen wit. She was easy to love because she made us feel loved first. We will miss the “Prettiest Willis” in the ward that used to sit in the pew in front us. Our condolences go out to her family. We would tell you that Alta is not gone, she is home.